Homeowners are turning to their backyards for property investment with a record number of people building on their current blocks of land in recent years. Savvy investors are choosing to build new homes on their existing dwellings property in the form of subdividing or ‘granny flats’, rather than purchasing land for new fully detached homes. Statistics show that 75 per cent more people are building on their blocks than 5 years ago. Driving the popularity of multi-dwelling sites is the fact many people view them as an affordable option and superannuation investment. Parents are also setting their children up with their first homes in this format, providing a low cost mortgage while remaining geographically close. Children are also building for their parents as a cheaper alternative for downsizers and option other than retirement living. In Sydney alone about 4500 subdivision certificates were issued in the last financial year, a growth of about 10 per cent from 2014. ‘Granny flat’ approval also saw a surge in 2015 of 20 per cent. 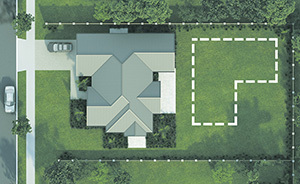 Subdivisions could provide a strategy for increasing the amount of dwellings to the predicted required level in major cities across Australia with space becoming limited and prices continuing to rise. Multi-dwellings are a unique building opportunity that provide a vast amount of work for construction and manufacturers alike.